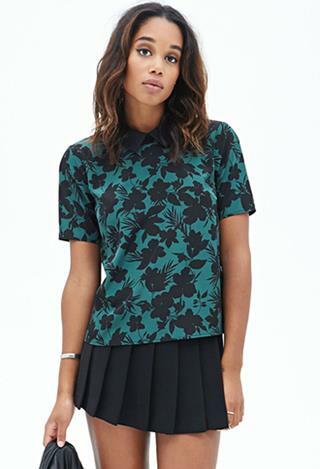 #SavvyShopper: 10 Amazing Tops for Work You HAVE to Buy Now! For those of us playing the professional field, getting dressed every morning is a relentless tug-of-war between looking serious and business-like while desperately trying to cling on to our style credentials. You’re in luck, career girls, as we heard your style SOS! Read on for 10 super-awesome yet office-appropriate tops that will have you conquering the boardroom like a diva. 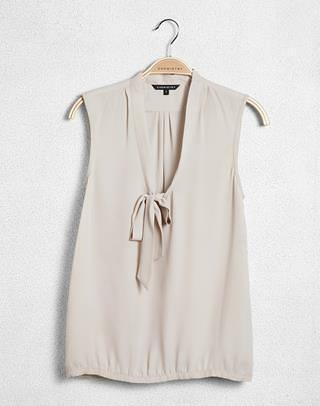 Give your office ensemble a feminine twist with this girly-girl top. You can just wear it over skinny trousers, or throw on a blazer when headed for a meeting or presentation. Its versatility ensures that you can team it with a variety of bottoms. 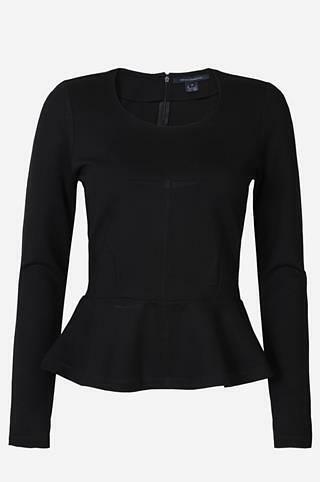 A peplum top is an office wardrobe must-have, and this black one is the perfect day-to-night piece. Wear it with a grey pencil skirt to the workplace and change into a leather mini for a night out! The full sleeves make it an ideal fit for the winters too. For the days when you need to look like you absolutely mean business, slip into this crisp shirt. Go the androgynous route and wear it with high-waist trousers, brogues, your hair in a topknot! Give the classic button-down shirt a more fashionable update with this printed number with a mandarin collar and sheer sleeves. The right balance between formal and flirty, you can wear it a fitted midi skirt, layered under a dark pant-suit or with basic formal trousers too. This mustard is perfect for days when you’re feeling uninspired and figure out how to put together an interesting look. Just throw it on over black or white trousers and add some delicate layered pendants for a look even your boss will approve of! A top that creates the illusion of a shirt? Well, it has our seal of approval! Add to that the season’s hottest colour. You can do no wrong in this formal yet fashionable top. Wear it with printed pants, loafers and an oversized tote to look like a true-blue boss lady! If you are hailed as the most stylish lady in the boardroom, this top will ensure your sartorial game never slips. Channel your inner Rachel Zane by wearing it with a snug pencil skirt, pointy toe pumps and oversized stud earrings. We bet the cutie from the cubicle across the room will be holding the elevator door for you after this look! This is just what a fashion-forward working girl, who’s all about climbing up the ladder clad in chic, needs. The collar detailing and print lend it sophistication while the boxy fit makes sure it doesn’t fall into the yawn-inducing "same old" trap. This statement print high-neck top spells 9-to-5 sophistication. Simply pair it with black skinnies and pumps, and you’re all set for anything from casual Friday to a working lunch. It’s just what the higher-ups ordered for the bold belle in the boardroom! 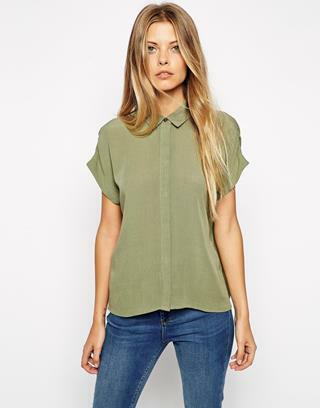 Nail ladylike poise with this khaki shirt. While extremely fuss-free, the crinkle detailing on the sleeves is enough to warrant that your outfit garners some attention. Team this top with fitted trousers and monochrome ballerinas for a formal look. And, oh, don’t forget your pearl studs and cat-eye glasses to add some oomph to your style quotient! MUST-READ: #SavvyShopper: The Best Kurtas to Stay Warm and Stylish at Work This Winter! MUST-READ: #SavvyShopper: Style Your Way to a Whole New Work Wardrobe for Only Rs 25k!